Now since the winter is just around the corner it is a good time to post some tips & tricks about Aurora photography with focus on Iceland. Geographical luck has placed Iceland right on the Aurora donut that encircles the magnetic north pole so it is a convenient location for Aurora photography coming from either the east coast of USA or from Europe. 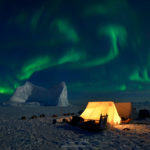 Photographing this magnificent natural display of light is not the most difficult thing in the world but there are some points you need to know to make the best of your time in the winter Arctic. Fist thing first. Lets start by going over what equipment you need to bring on your trip. Aurora photography is going to test the low light performance of your gear. Having gear that can create good images in low light conditions is therefor important. This means cameras with fairly good high ISO performance and lenses that open wide and can shoot fairly sharp images at large apertures. Wide angle lenses are also very useful as Aurora often covers the whole sky so getting as much of it in your frame requires wide angle lenses. Typically you will be shooting at ISO 400-1600 depending on the strength of the Aurora and light on your foreground. Having a camera that can handle ISO 1600 fairly well is important. I use a Canon 5D MKII a full frame camera with good high ISO performance. Samyang/Rokinon 14mm f2.8: Cheap, super sharp and well built. Fully manual including aperture this simple but superb lens is a top performer. 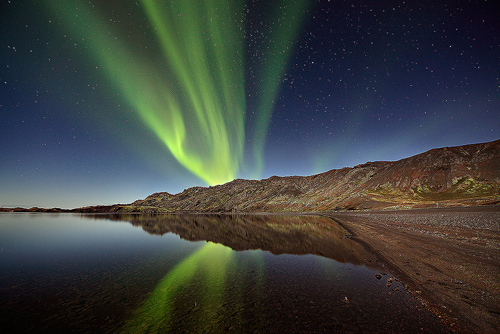 Nikon 14-24mm f2.8: This landscape photography master also performs excellent shooting Aurora. There is even possible to mount them on a Canon body with a special adapter. Pricier and heavier than Samyang but works very well as a general landscape lens aswell. Zeiss 21mm f2.8: Engineered to perfection this lens is sharp at large apertures. Not as wide as the first two. Unfortunately Canon does not produce a good lens for Aurora photography yet. The key issue here is corner sharpness and the wide angles from Canon do not live up to the requirement here. They are simply to soft at the corners. Canon if you are listening get a grip and try to make proper wide angles. 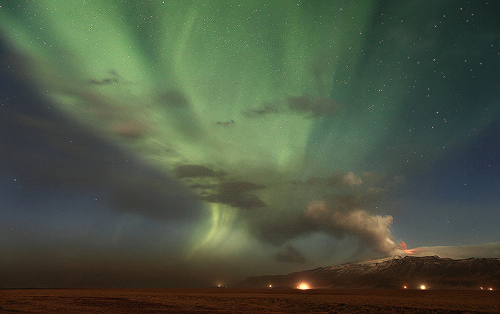 You are going to need a sturdy tripod if Iceland is your Aurora shooting destination. This north Atlantic island is known for being windy and winter is specially windy. It does not need to be specially lightweight (no need for carbon fiber) as it is unlikely that you will have to hike very far from your car. Bring along the normal landscape photography hardware like remote trigger, spirit leveler, cleaning cloth, extra memory cards and extra batteries. Iceland is not as cold in winter as one might think. Your temperatures are likely to be between 5°c and -10°C with -20°C on the extreme end. Canon/Nikon and some 3rd party batteries still perform quite well at these temperatures. Keeping a couple of extra batteries inside your cloths will last you through the night. Bringing a car charger for your batteries is helpful. Once you have decided to go to Iceland or another location to photograph the Aurora there are a few things you can do to prepare for you upcoming trip. Choosing when to go to photograph the Aurora is important. The Aurora happens all day throughout the year, it is just not visible when the sky is not dark. This rules out summer as it never gets dark at night in the Arctic. Fall is often rainy and cloudy with still little snow on the ground here in Iceland. The remaining two seasons of winter and spring are the best seasons to photograph the Aurora. During mid winter the nights are long but still the weather is unstable. During spring the weather improves but the nights are getting shorter. My favorite month to photograph the Aurora is March. It seems that combination of long nights, stable weather and snowy foreground peaks during this month. Like in all night photography the phases of the Moon play an important role when photographing the Aurora. It will be your light source on the important foreground. If the foreground is snowy you don’t want too much Moon light as it will make your foreground look like from a daytime shot. So if you plan your trip in winter it is best to plan it between new Moon to 3/4th Moon (or vise verse). The full Moon light will also kill the contrast of the Aurora display and the fine fast moving Aurora stripes will be less visible. If you plan your trip in the fall with no snowy foregrounds then you should do it the other way around. A new moon will leave your foreground totally dark. Having a large moon will help you in this case by lighting up your foreground even though it will still kill some contrast in the Aurora display. Before you head out it is useful to practice you night photography skills. There are a few things you need to know when shooting in darkness and finding out how in the middle of the night during an Aurora storm is not the best time. For the techniques to practice check out the Aurora photography shooting techniques chapter of this article. Once you arrived in Iceland there are tools that can help you with strategy while hunting for Aurora. Obviously you want a fairly clear sky for your Aurora shooting as clouds will block your view of them. Staying updated with the weather is therefor important. 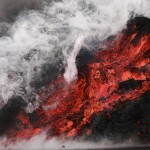 The best source for local weather is here: Icelandic Met Office. It also has a useful graphical cloud cover forecast. Don’t be tempted to use global weather services as they are not as accurate and will not display local weather warnings. The Aurora activity forecast for the day can be found here: Aurora Forecast. This is not yet an exact science but when the forecast says very low activity your are unlikely to see the Aurora and when it is at high activity your are very likely to see it. There is also an android app for the forecast. Finding good spots in darkness is hard. Even though you know where your basic shooting location is it can be difficult to find the right spots in full darkness. Seeing the location in daylight will help you find the best spots and interesting subjects to include in your frame before you shoot it in full darkness. Goto your location early and memorize the best locations. Large moon will however reduce the need for location scouting by lighting the location just enough for the human eye to see. The basic technical principle behind Aurora photography is to capture as much light as your gear can without degrading your image quality too much. To capture as much light as you reasonably can with your camera means high ISO settings, larger aperture and fairly long exposures. In a typical shot, I use ISO 800 at f/2.8 for 15-30 seconds. This works well for low intensity and static displays of Aurora, which are the most common ones. When things start to heat up and the Aurora really lights up and starts dancing around the sky, I shorten my exposure time as much I can, going down to 3 to 5 seconds to avoid blurring the Aurora by its movement during the exposure. This means that I have to increase my ISO up to 3200 on my Canon 5D MKII. It is worth noting that really active Aurora generates as much light as full moon and will help with shortening the exposure time. The maximum exposure time I use is 30 seconds when shooting really wide (14-16mm) as longer exposures than that will start to create unwanted star-trails from the moving stars. The larger the focal length the shorter exposure times you will need. I usually have my camera set on AV mode and I let the camera itself determine the exposure length. On my Canon 5D MKII I usually overexpose +1 stop. Both my camera seems to under-evaluate the dark scene but also I want over exposure as it will create less noisy images but keep an eye on the highlights as you don’t want washed out areas in your frame. If you feel that your image is to bright when you over expose don’t worry, just reduce the exposure in post processing and you will have a correctly exposed and less noisy image. Forget auto focus once you start photographing in the darkness. It is time to set your focus on ‘M’ for manual setting. The subjects you will be shooting are too dark for the auto-focus to detect them. Since you main subject will be the very distant Aurora then you need to set your focus on infinity. This is done by either having an lens that has a really accurate focus scale or better to focus on infinity during daylight and mark that setting on your lens with f.x. a pen. In some cases you will have distant bright subjects visible from where you shoot such has distant farm house, the moon or some other artificial light. You can point your camera towards this light and use auto-focus to focus on it. After your camera has focused switch your lens back to manual and use this setting. Be careful not to touch your focus ring or to tilt your lens to much downwards as this can change the focus setting. After you shoot your first shots after setting the focus check if it is accurate on your camera preview of the image. Nothing is more frustrating than a series of great but out of focus images. Too many Aurora images focus to much on the Aurora display itself. There are alot of Aurora images out there so to make your image stand out you will need to add interest to it by having something interesting in the foreground. This can be done by either including silhouetted objects like stone structures or trees in your frame or by pointing your lens a little more towards the ground and include an interesting feature in the ground like a river or frozen lake. If you want to include a object on the ground in your image you will need to have a very wide angled lens as the most interesting part of Aurora often happens far off the horizon. Gradual neutral density filters are often used when photographing normal landscapes. It brings out the details of the foreground, making the image much more appealing by darkening the upper part of the image. The same situation often occurs when shooting Aurora. The foreground gets way to dark compared to the sky. Using GND filters at night is a no go. Darkening the sky by 2 to 3 stops is not really and option with current equipment as it will require you to increase either the ISO or exposure time which beforehand are being stretched to the limit. So what one has to do is have different exposure lengths for the foreground and the sky. This is done by covering the sky part of the frame for about 1/2 to 2/3rd of the exposure time which is now upto 90 seconds long. This way your sky will get 30 seconds exposure while your foreground is getting 60-90 seconds. For further details about this technique I refer to Tony Prower article: Magic Cloth Technique. 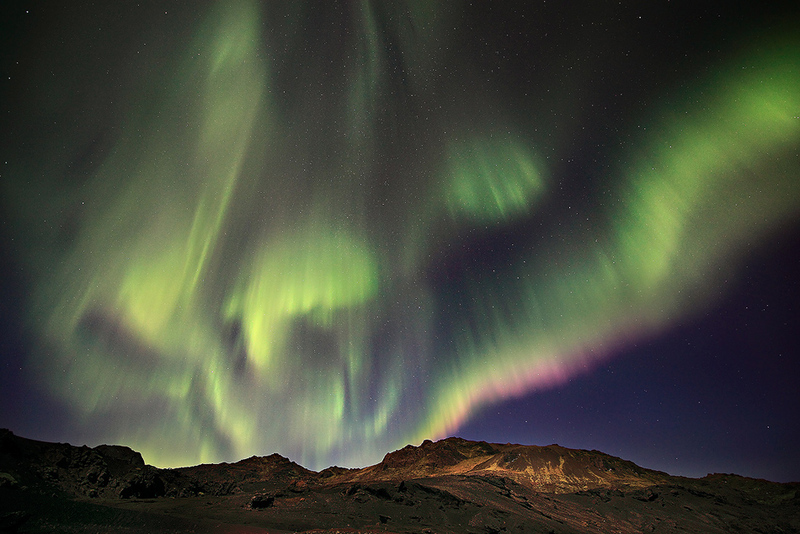 Many of the interesting photographic features in Iceland can also be included in an Aurora shot. 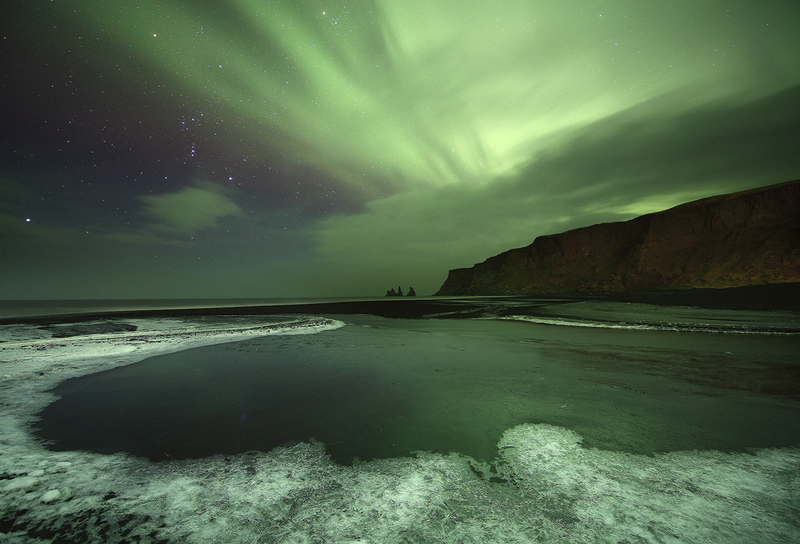 One key feature in Iceland in Icelandic Aurora photography are reflecting unfrozen water surfaces. This is quite rare in other Aurora shooting locations like Canada and Alaska as all still water surfaces are frozen solid and often covered in snow. The relatively warm temperatures in Iceland during winter often leaves water surfaces unfrozen and this is a feature that can render some stunning Aurora shots. One key feature of Aurora photography is that the Aurora might not always appear in the direction you would like to shoot. You have set up your camera on the edge of a reflecting lake waiting for the Aurora when it appears behind you. The Aurora most often appears towards the north. These are the more common static displays. But once the Aurora gets really active it can be anywhere in the sky. To increase you chances of a good Aurora shot I often choose a location that has more than one interesting shooting angle or where one can quickly relocate to a better angle. 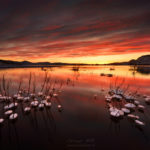 This can be frustrating to some who pre-plan their shots in every detail but one needs to look at Aurora photography as something between normal landscape photography and action news photography. You often need to adapt very quickly to the fast changing scene. Thanks for the tips, I can only dream of going to Iceland to try to shoot the aurora one day. Your images are spectacular! Thanks Örvar. This is a very good tutorial. I like that part about choosing a polyvalent location, when the jolly northern lights decide to dance outside the frame. “The noise a digital camera produces is directly related to the temperature of the camera’s image sensor. For every 6°F to 8°F (that would be 14°C, I guess) increase in the temperature of the sensor, the noise will double. Therefore, if you know you’re going to be shooting long exposures outside, take your camera out 20 to 30 minutes early and let it cool down to the outside temperature. I checked it myself, and it proves to be right. The earlier shots, taken with an uncooled camera, are much noisier that shots taken half an hour later. Thanks Orvar, very informative and great timing! 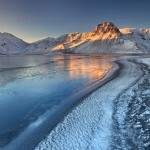 I’ve just completed my plans for a shoot in Lofoten in January – hope the weather plays along. Very interesting article with some stunning photos. Thanks for sharing! If I have sometimes the chance to go to iceland, I’ll keep this article in mind. I still have one question: is the Aurora there always every night? Diana: Great point there. I knew about the temperature effect on noise but I did not realize the importance on taking your camera out early. Also if you are shooting alot of long exposure in a sequence you sensor will heat up from the usage. Marcel: No, both clouds and lack of activity will make it impossible to see the Aurora every night. Very informative and professional article and great pictures ! Question: is it possible to take Aurora panoramic-pictures? I have no idea how it was made. Some seriously good stitching skills I believe. And I understand this is sort of marketing of Iceland, BUT, Iceland is NOT directly under the auroral oval, you need a rather strong auroral outbreak to place Iceland directly under the donut. Nevertheless aurora is easily visible from Iceland, as long as you have clear skies. Which can be a challenge in it self in Iceland. Also regarding wide-angle lenses, I mostly agree with you, but the 14mm 2.8 Mark II from Canon is not THAT bad in the corners, but it is very expensive compared to the Samyang, which is sharper yes, but vignettes and distorts a lot more than the Canon. Regarding different exposure times for sky and foreground, I don’t understand why people persistently fail to mention the obvious possibility of using two exposures, and blending them perfectly in post at home, rather than the hassle using an object to partly cover the lens during an exposure out in the cold. Anyway, great photos, keep up the good work. Cheers for the tips, some great ones here definetely. hoping to vist Iceland again soon so I can use these! first this is intended as marketing of Iceland just my thoughts about Aurora photography with focus on Iceland as I have only shot Aurora in Iceland. 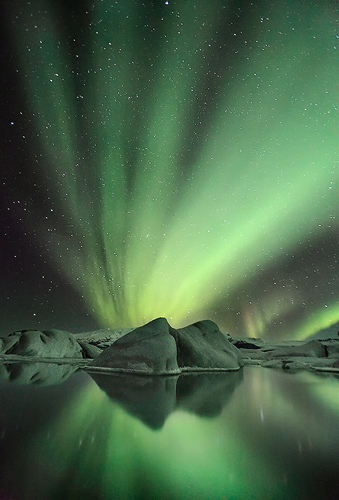 I have very little business interest writing about Aurora photography in Iceland as people (mostly photographers) that read this article are usually not my customers at my Reykjavík Gallery. Since we are going into details I did say that Iceland is on the Aurora donut not directly under it. Weak displays of Aurora are visible here when the weather allows as green arch near the horizon. But you are right it need a strong Aurora to see it overhead. I have not tried the 14mm f2.8 from Canon myslef but I have the sharpness issues from others. The Samyang does vignette and distort but distortion is not a problem at all in Aurora photography. Good point with the double exposure. I even use in rare case for tricky situations. Trying to get the best single shot is in general a noble thing to do. Personally I do like to see a good image on my camera display and I do like to use a little hassle in the field and less hassle at home. Also some photo competitions and publishing houses that require originals do not accept double exposures. Well written article. Thanks too for the tips. I enjoyed your images too! This is really interesting, and your pictures are marvellous! I`ve been following your website for a while, and I have also visited your gallery in Laugarvegur several times, looking at your pictures there! Really nice work. As I read your tip here, I wonder if you know anything about using this wideangle lense for my Olympus E-620; more accurate the Zuiko Digital 7 – 14mm for photographing the Aurora Borealis? Best regards and have a nice pre-Christmas time in Iceland! Thank you Anne. I am not sure if we have met at the gallery. Most likely you have met my wife. I do not know much about Zukio lenses. If it has a large aperture I think you should just try it out. Even just a night city scape shooting at widest aperture at infinity focus and see hot the corner sharpness is plus vignetting. I bet there are also some posts out there on the internet that have tried it shooting at night. In first place i would like to give you my congrats for your great work . Thanks Örvar for all this information and tips . Thank you very much Örvar and keep up the amazing shoots . Thanks Arild. Same to you. Keep up your astronomical high standard of photography. Thanks for this very informative tutorial. 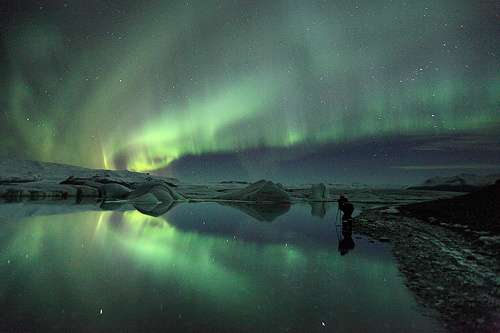 Photographing aurora is on my wishlist. I am planning a trip to Iceland in Sep but not for the aurora. May consider returning in Mar 2013, since it is a recommended period by you. Regarding lighting up the foreground, will you recommend “light painting” using a torch? I know it might not illuminate distant subjects but at least the subject in the near foreground will not be too much under-exposed. Congrats for the great tutorial! 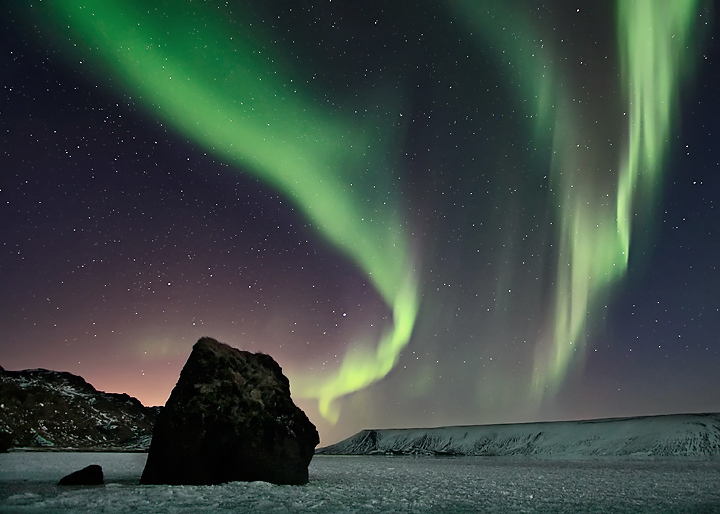 By the way I am seriously considering visiting Iceland during February-March 2013 (period that should correspond to the peak of the sun activity) with a couple of amateur photographers. Do you organize workshops on the topic? It would be great to start our aurora hunting with precious tips and tricks of an experienced photographer! Örvar Atli this is a very cool site and fun to explore. Thank ypu Orvar for your in depth explanation and for sharing your knowledge on the subject and your pictures. 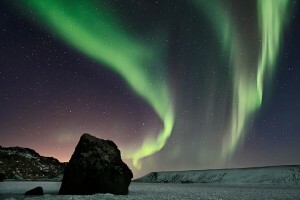 I went to Iceland in februari 2011 and just god back with a blurry aurora shot. Now I have had some practise in Norway on a tour with Antony Spencer and David Clapp, and together with your explanation I feel confident to have another try at Iceland maybe next year. Thank you very much for sharing.